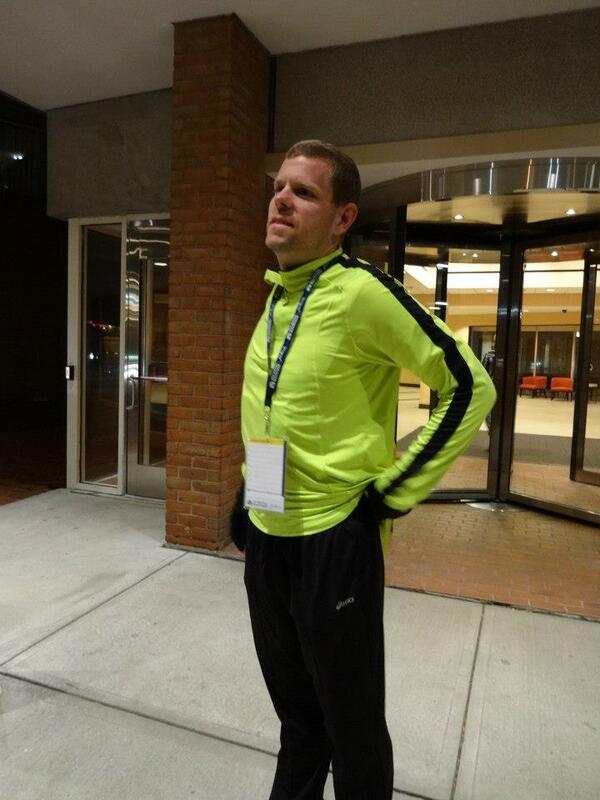 It has been 3 months since I ran the 2013 Boston Marathon. I posted previously about some of my perspectives on the tragic events that happened that day but as time has passed I cannot help but feel that I have been remiss in not sharing my thoughts and feelings about the actual running of the event. 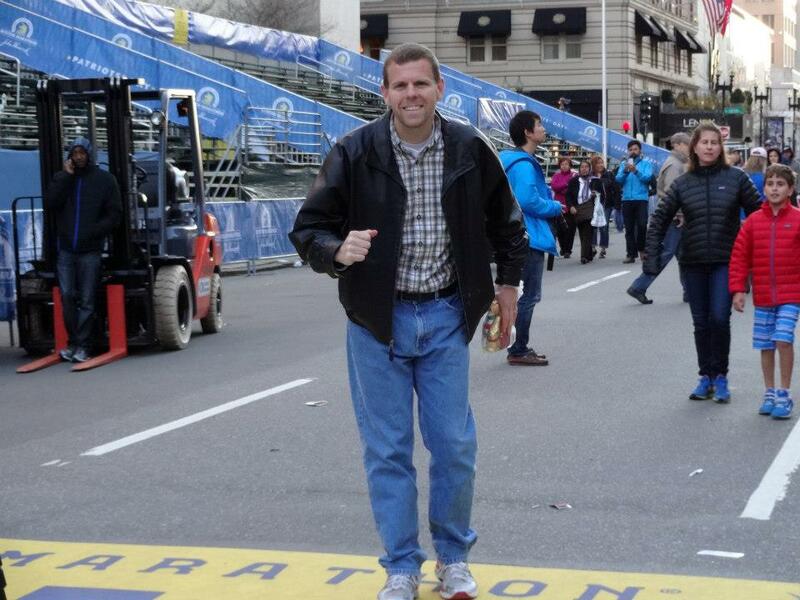 The fact of the matter is that while on one hand, the 2013 Boston Marathon turned into the most tragic event that I have ever been closely associated with, on the other it was also the most absolutely fantastic celebration of running that I have ever seen. 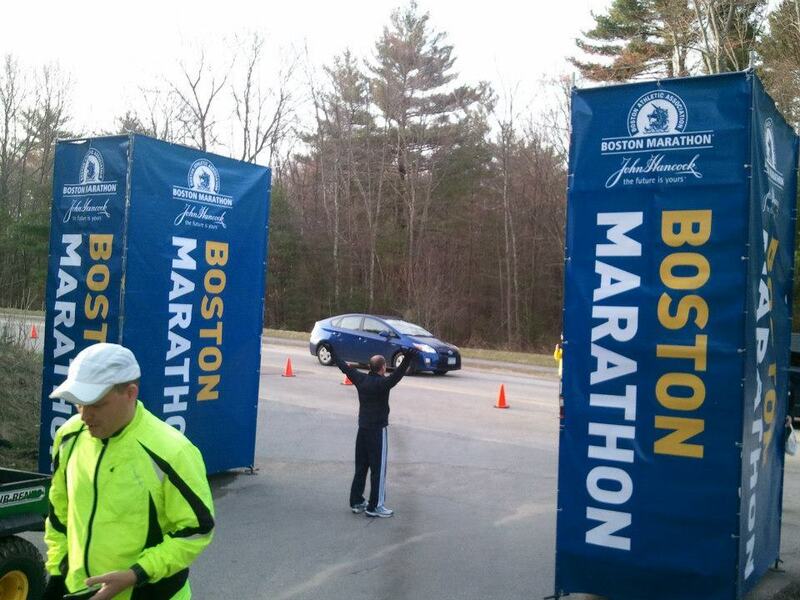 The best thing I can compare it to is to say that the Boston Marathon is Disney World for runners. To not recognize Boston and the Boston Athletic Association (BAA) for the world class event and fantastic contribution to the global running community would be perhaps adding insult to injury. 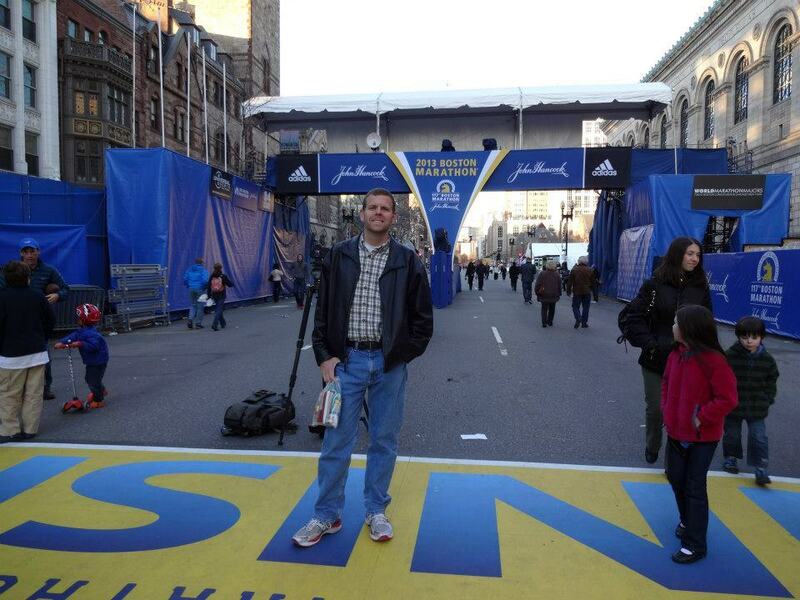 With that, I want to share the joy and celebration that was my experience at the 2013 Boston Marathon! Finally, the day had come. It was Saturday, April 13, 2013. My wife J.J. and I finished packing our bags and getting our kids squared away before heading for the airport. It is a long flight from Pasco, WA to Boston, MA but one that I had been looking forward to for many months now. Our flights had us hitting such fine cities as Denver, CO and Chicago, IL on our way. The one thing about flying from the west coast to the east coast is that whole time change really works against you so we did not get into Boston until around 11:00pm that evening. After hopping in a cab, we made our way to our hotel in Cambridge, MA. The Hyatt Regency that we stayed at was a nice hotel but we had a little snafu since we got in late and the room we received the first night turned out not quite consistent with the specifications that we had reserved. The hotel was great about it though and the next day hooked us up with an upgrade to a suite for the remainder of our say. 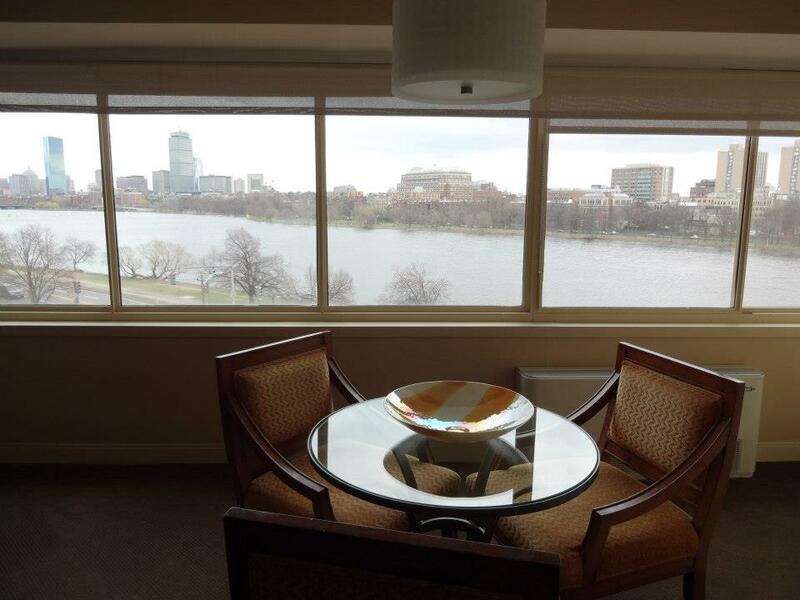 J.J. and I were using this trip as a sort of get away anniversary trip so let’s just say the huge suite with the picture window overlooking downtown Boston worked out well. 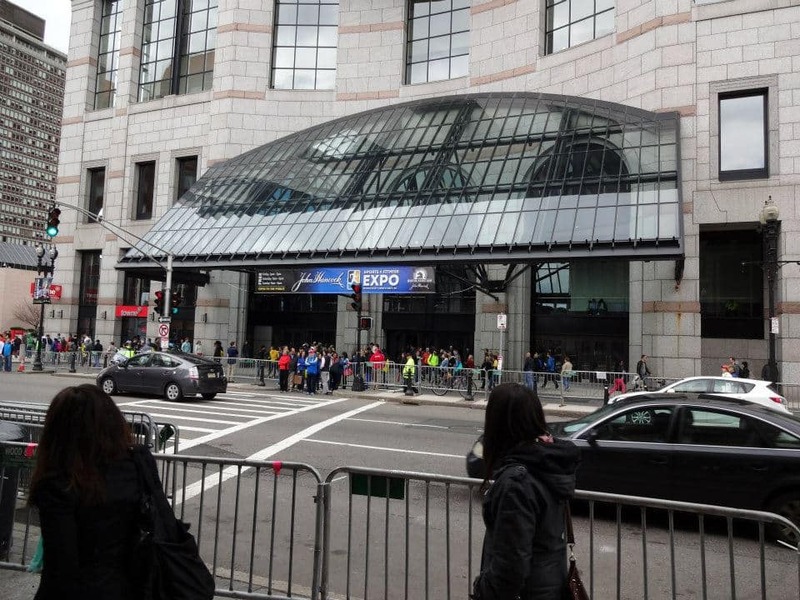 The next morning we headed over to the Boston Marathon Expo located in the John B. Hayes Convention Center in downtown Boston. 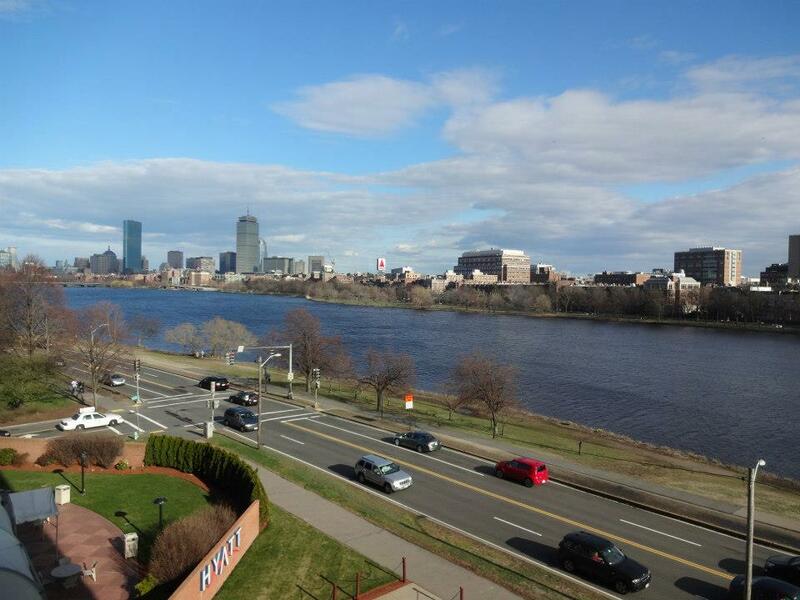 We walked over to the metro at Boston University to take us into downtown and along the way the one thing you could not help but notice was all the runners that were out and about for their morning runs along the Charles River. While in route we ran into several marathon runners who were headed to the expo as well. The one thing I noticed is that we all had something in common and that was qualifying for the Boston Marathon. Most conversations that I ended up engaging in over the remainder of the next 24 hours started off with questions like: What wave are you starting in? What race did you qualify in? What was your qualifying time? It was not dissimilar to dogs sniffing each other at the park before deciding to chase each other. I became engaged in a conversation with a lady who had qualified for Boston in the New York City Marathon. It was great hearing her stories and experiences. I have to admit though; her husband was a bit odd. Apparently his favorite pastime was not running but rather trying to figure out which celebrity each random stranger with whom he came into contact reminded him of. Apparently I was Kevin Bacon. Um, ok…. 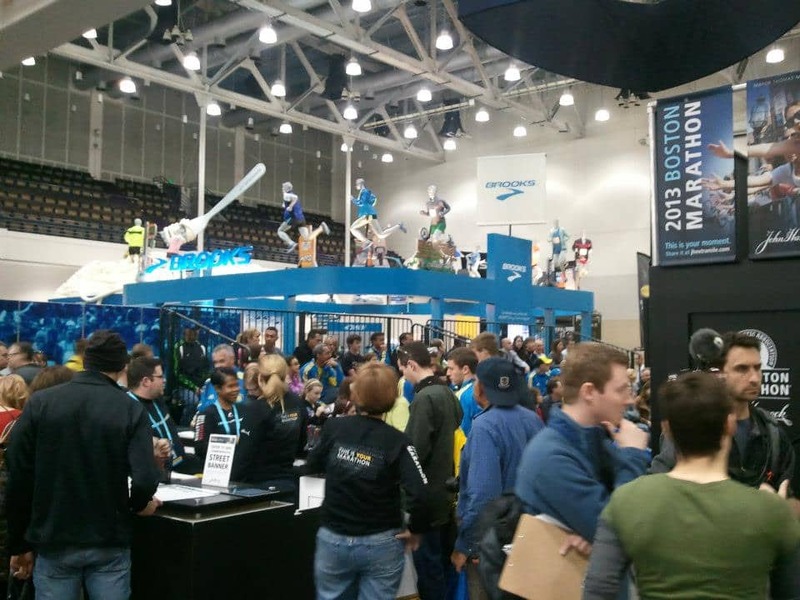 When we got to the expo the place was crazy packed but the energy was undeniable. It was like a large running party that had been going on for days and was filled with every aspect of running culture you could fathom. They even had a continuous “movie marathon” of every move about running known to man. Note to self – I need to watch Prefontaine again sometime. 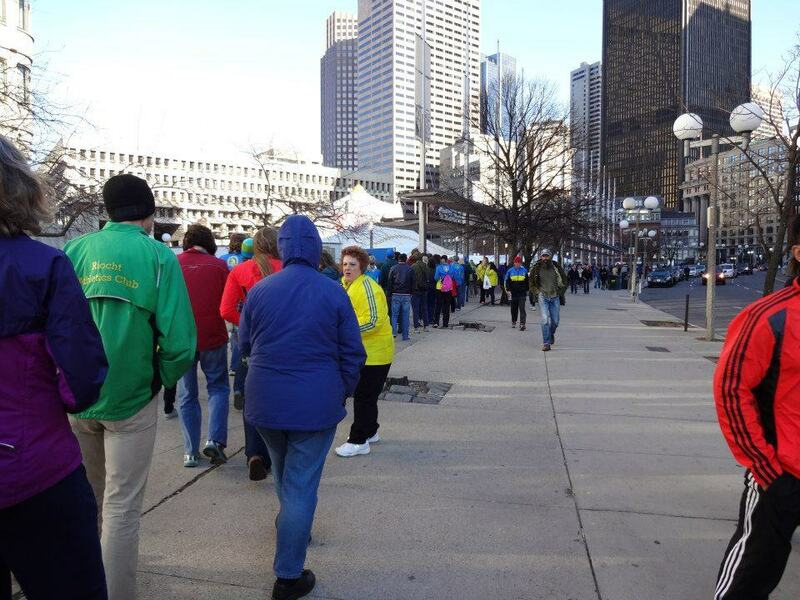 We went over to get my race packet from the registration desk and you could clearly tell who the Boston veterans were as they all wore their running jackets from previous Boston Marathons. 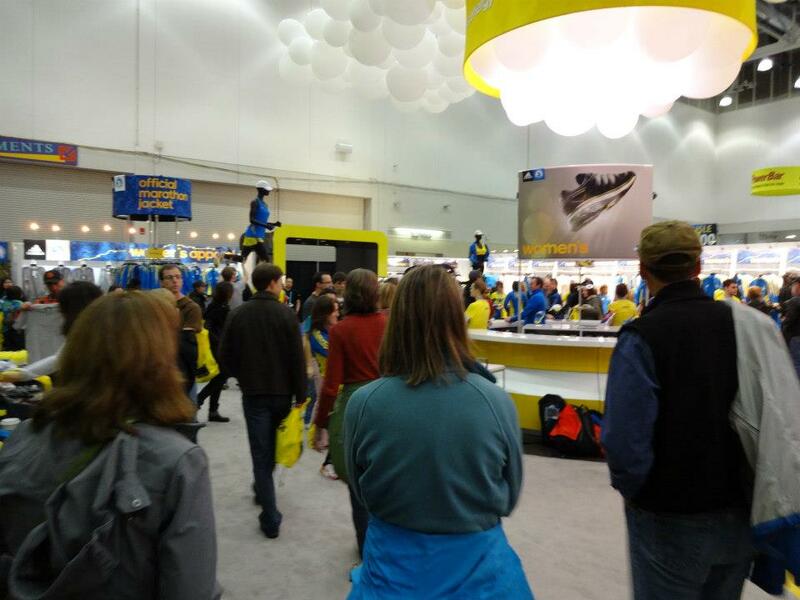 After getting my packet squared away we headed on into the expo where every running vendor known to man was set up. Samples samples everywhere! There were vendors selling anything you could possibly fathom. Heck, even Greg McMillian had a booth set up there. If the line was not so deep I would have told him how much I use his on-line race pace calculator but hey I bet he has statistics on that already. There were several there from Boston Marathon lore as well. 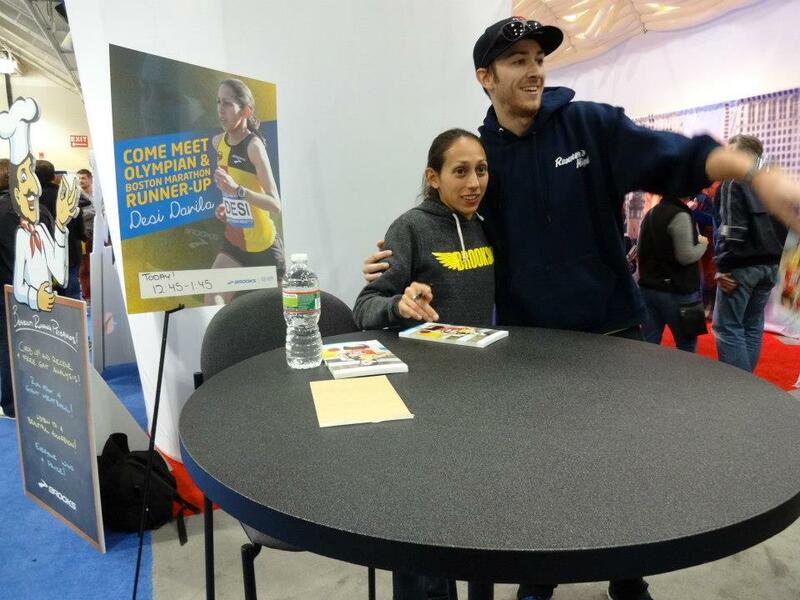 Olympian and the 2012 Boston Marathon runner-up Desiree Davila was there and no that is not me with her but we should totally try to figure out which celebrity he looks like…. 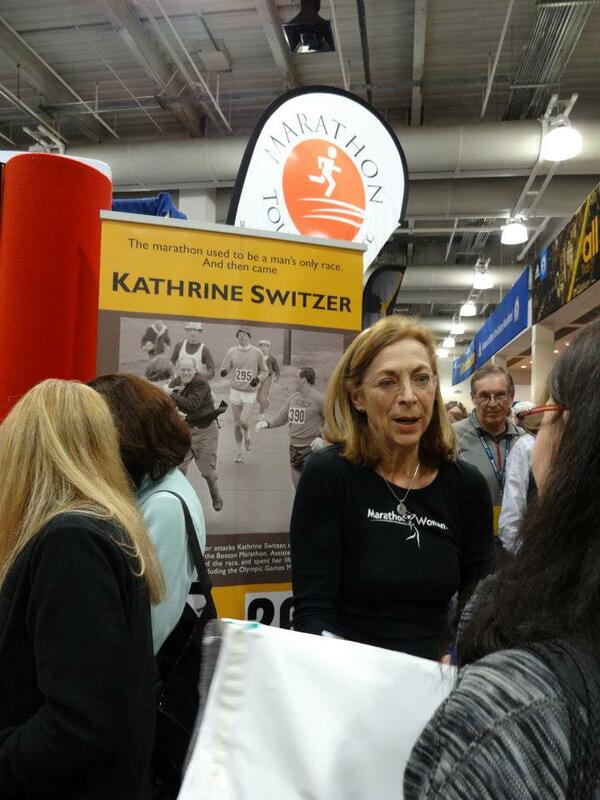 Kathrine Switzer was there as well. Kathy Switzer was the first woman to ever run the Boston Marathon much the chagrin of the marathon officials at the time. See at one time the Boston Marathon was an all male event and women were not allowed to participate. Kathy registered for the 1967 Boston Marathon under her initials K.V. Switzer. After she started the race the officials did not like the fact that a woman was spotted in the midst of the runners and (in the photo behind her) course official Jock Semple famously tried to pull her off from the race before meeting the bad side of Kathy’s boyfriend Tom Miller. Tom was running with her in the race and shoved Semple out of the way and acted as her bodyguard the rest of the way. Kathy finished the race and it was not long after that in 1972 that the Boston Marathon was opened up to men and women alike. Way to be a pioneer Kathy! 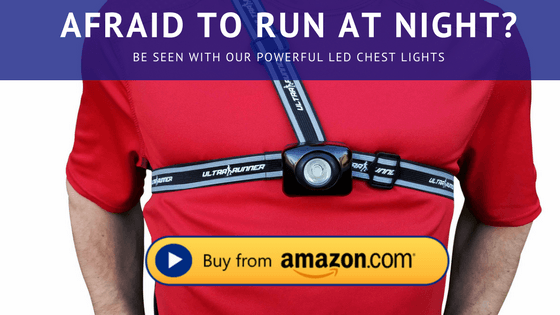 The running community owes you a ton. Hanging out at the expo made my legs start to get sore and stiff from standing and walking on concrete. Before heading out I tried to get off my feet and watch a virtual tour of the race course on the big screen with commentary about each section. You know, on video Heartbreak and the other Newton hills do not look so bad…. 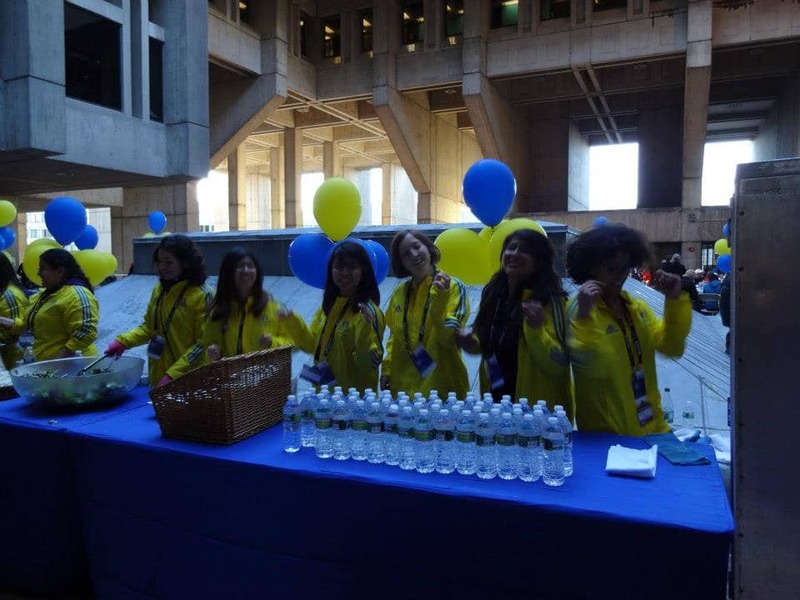 One of my favorite things about the Boston Marathon was the pre-race dinner. I have got to hand it to the BAA, these people know how to organize and execute. I am telling you, we as a country should just hire these guys to run the government and things might be more efficiently and effectively accomplished in our nation. When we got to the dinner we were a little freaked out since the line to get in wrapped around a city block. I figured we would get to know the people around us really well by the time we got in but I am telling you, I do not know how they did it but that line moved quickly. We did get to know the people around us though and the cool thing was that it was just like meeting long lost members of your family. We were all the same people. There just happened to be 25,000 of us in the same place at the same time. 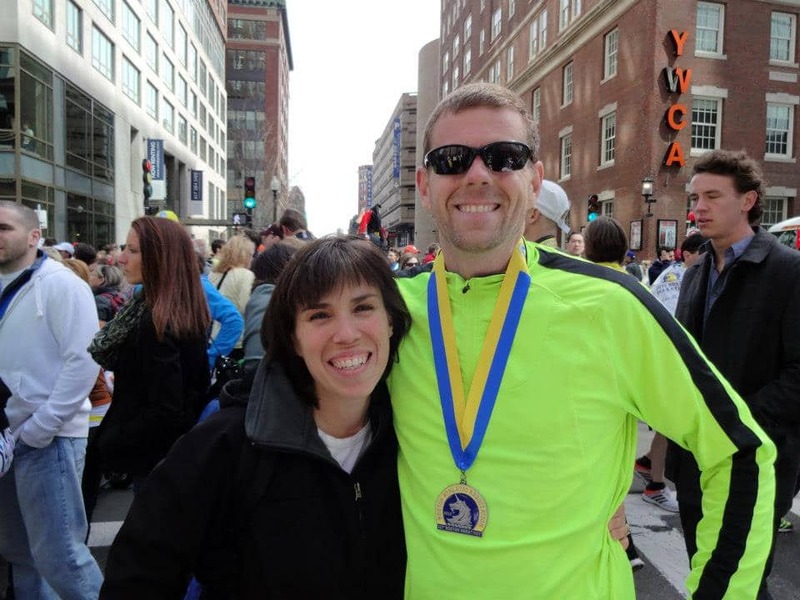 Even J.J. who does not claim to be a runner found camaraderie with many other spouses who had acted as their partner’s patient and understanding support crew and champion every step of the way. While I swapped stories about qualifying standards and race strategies, J.J. swapped stories about hanging out at finish lines with cameras and getting drug from random race to random race with kids in tow. Dinner was fun. The meal was salad and all sorts of chicken pasta dishes – pasta with chicken meatballs, chicken lasagna, and even chicken sausage. The meal staff was awesome as I do not believe I have ever seen a more energetic fun loving group of workers in my life this side of Disney. Watching them dance and rock out to 80’s tunes while serving the runners at the dinner could bring a smile to the face of even the crustiest of souls. After dinner J.J. and I hopped the metro to head down to the finish line. There were several others there that had the same idea so in many ways it was like a big block party for runners. 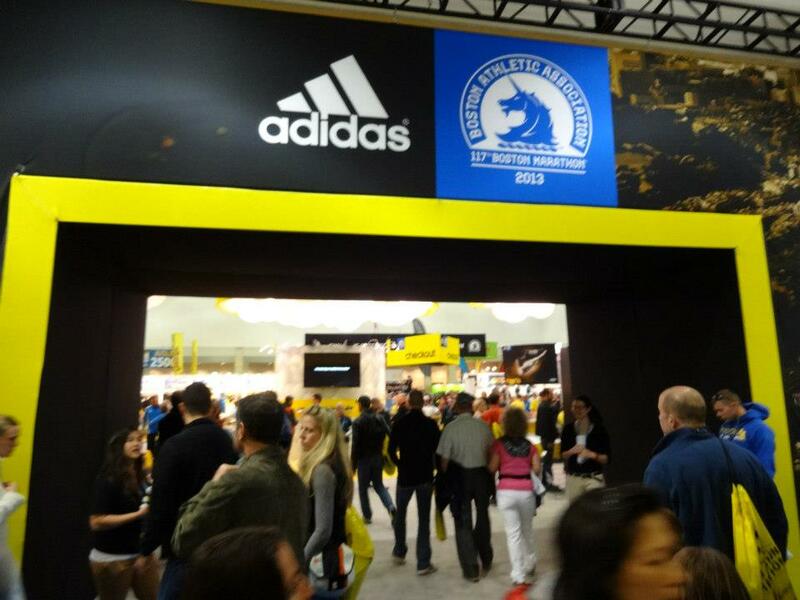 We snapped a couple of pictures at the finish line and toured the shops adjacent to the finish. One of the stores was a running gear shop while the other one was a candy shop. I bet I know which one most people would prefer. While I am trying to keep this post somewhat separate from recounting the horror of the next day’s terrorist bombing, I do have to say that when we watched on TV the chaos and aftermath at the finish the next day, seeing some of those same stores and features, such as the plastic M&M man next to the candy shop, was one of the most surreal experiences that I have ever had. The next morning came way too early. Since I was in Wave #1 I had to get to the bus headed to the starting line in Hopkington at some unholy hour. To get to that bus I had to take a completely separate bus from the hotel so let’s just say I was up early and let’s be honest, it is not like I could sleep much anyway. It was a cold morning so I bundled up a bit to head over to the bus. 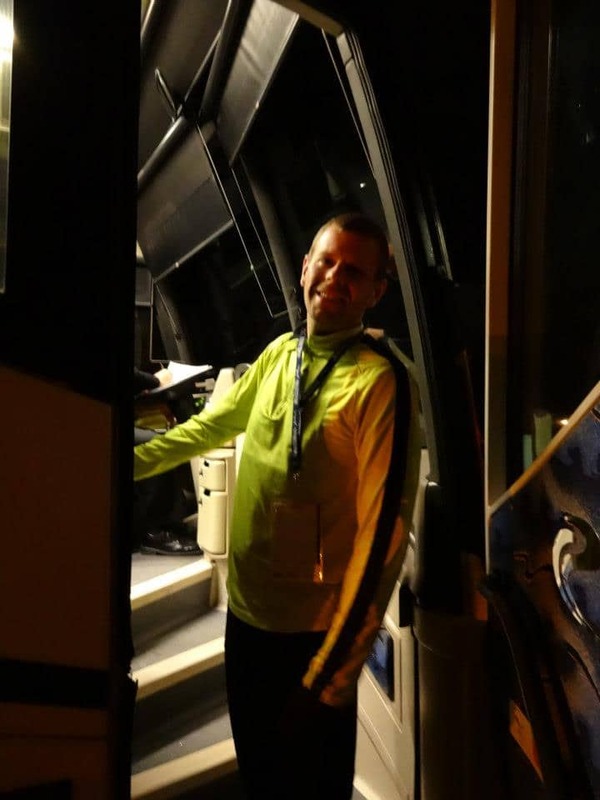 One guy from California who was staying at our hotel went the complete other direction and showed up at the bus loading in shorts and thin running shirt. Seeing as I ended up getting dressed up like an Eskimo to keep warm that morning, I am not sure how in the heck he made it without dying of hypothermia. J.J. saw me off at the bus and that would be the last I would see of her until much later in the day. 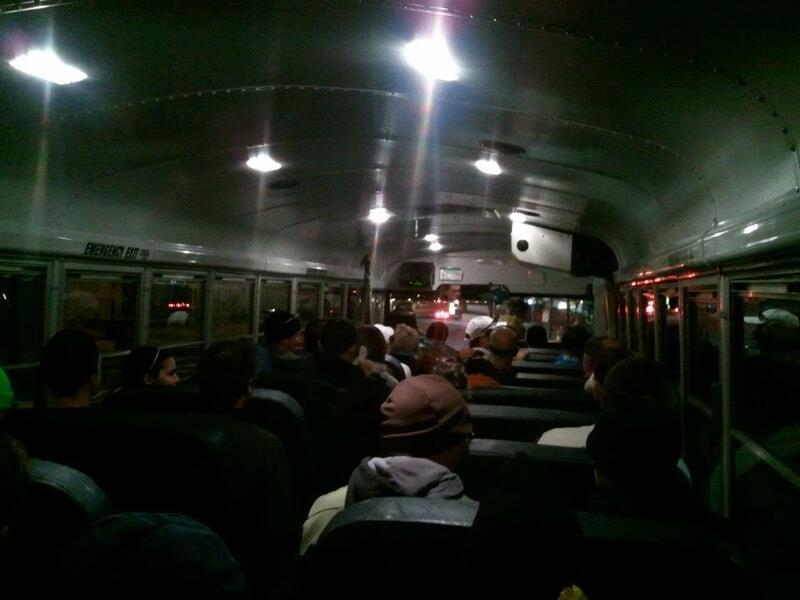 At Boston Common we loaded onto glorified school buses and away we went to Hopkington. It was a cold trip and fortunately I brought extra clothes that I intended to ditch otherwise I would have frozen. Serious, do not know how the dude from California made it through alive. We had arrived at the start! 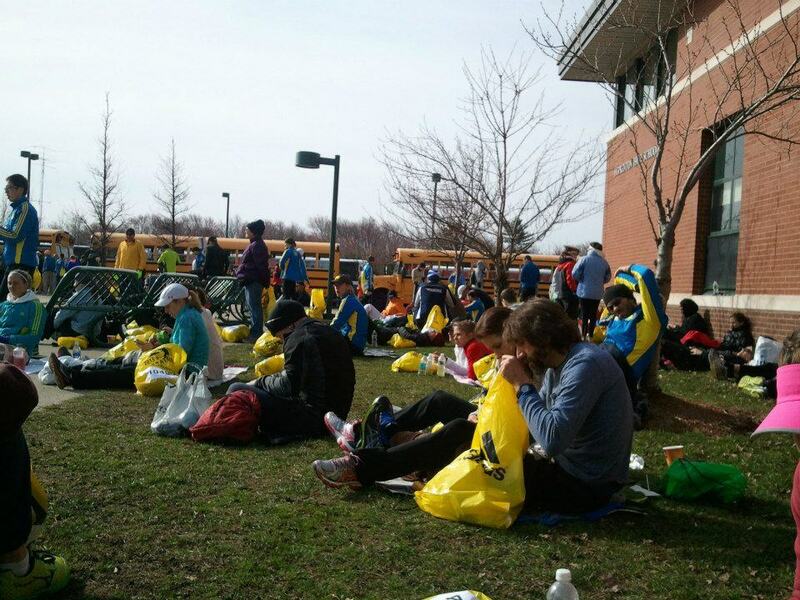 I made it to the Athlete’s Village which was a local school campus turned into a staging area for a mass of people. Since I was on the early bus it was not too crowded in the village when I got there. The one thing I can honestly say about the village is that I do not believe that I have ever seen that many port-o-potties in one location in my life. 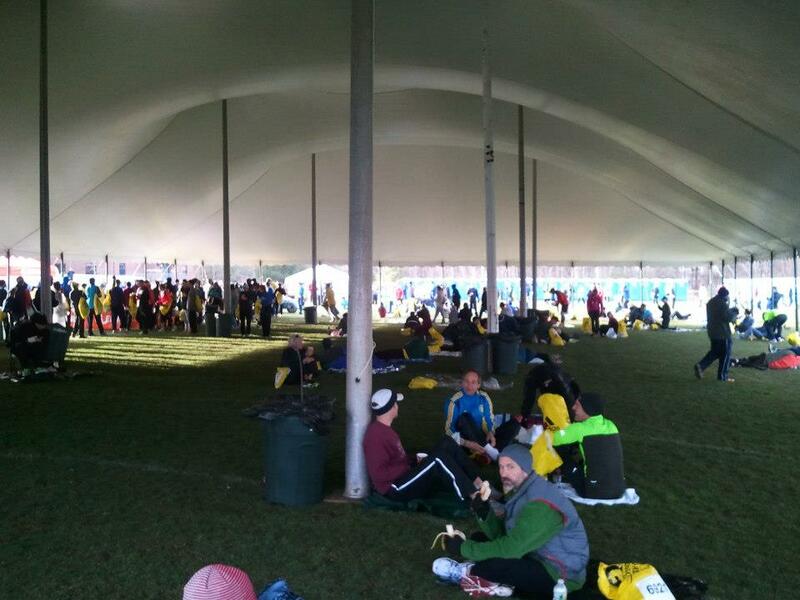 Since I was still several hours from the start of the race, I curled up on the ground with a travel blanket and pillow to keep warm and tried to listen to some relaxing music. I was set up under a large tent against a pole around 100 feet from a bunch of out-houses. It was pretty calm and quiet there. Moving around the village was pretty difficult since there were runners everywhere. It was probably about an hour before I needed to head the ¾ of a mile or so to the starting line so I moved to the front of the school to get ready to check my stuff. It was now just about go time. There were waves of people beginning to make their way to the start. I figured they knew what they were doing so I followed them like a lost puppy. Most people walked to the start but there was a small channel through the mass of humanity on the far left with enough flow to slowly jog to the start as a warm-up. I took advantage of the opportunity and jogged to the starting area. After ditching some old Goodwill clothes that I had brought to keep warm after I checked my normal gear, I headed over to my starting corral. I made it to my corral and got set up perhaps 5-10 minutes before the start of the race. I took the opportunity to chat with some of the runners around me, several of which were actually from the Pacific Northwest. Heck, the dude directly in front of me was from Seattle and the guy to my left was from Portland. The time had finally arrived. All that training that I had done over the winter months was about to be put to use. All of that focus to try to get that Boston qualifying time in Leavenworth was about become worth it. 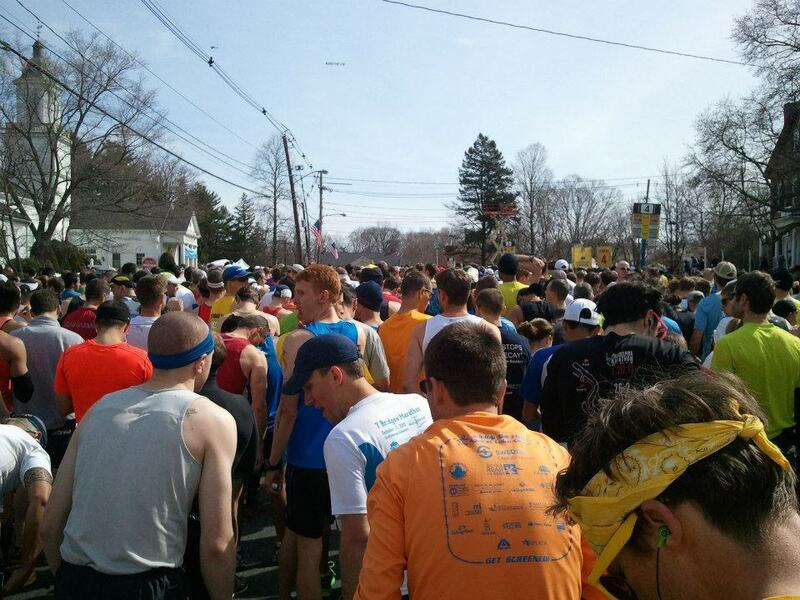 It was time to start the 117th annual running of the Boston Marathon. Going into the race I had essentially come in with a simple strategy. 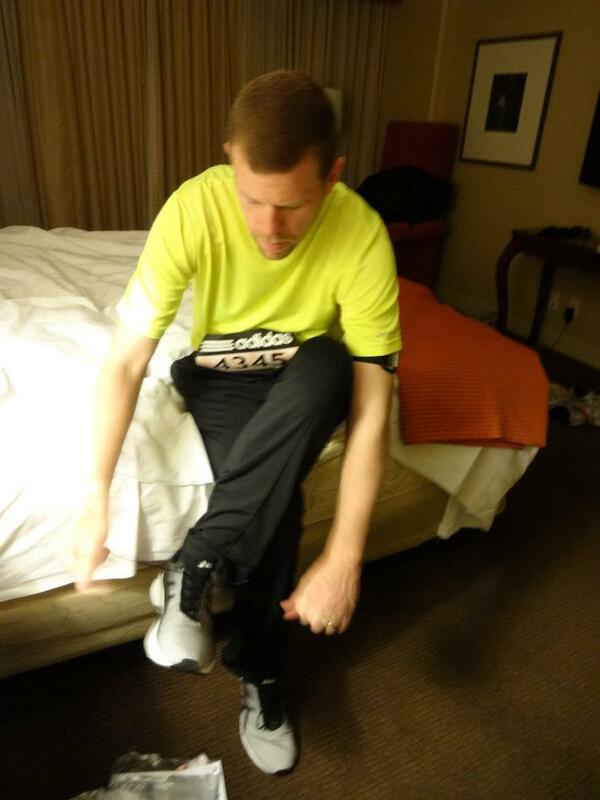 In training I was focused on putting myself in a position to make a run at the 3-hour mark. My strategy was to go out and make sure that I was on sub-3 hour pace at the half marathon mark and then see how I felt on the Newton hills and take it from there. That is about as deep as my race strategies get. 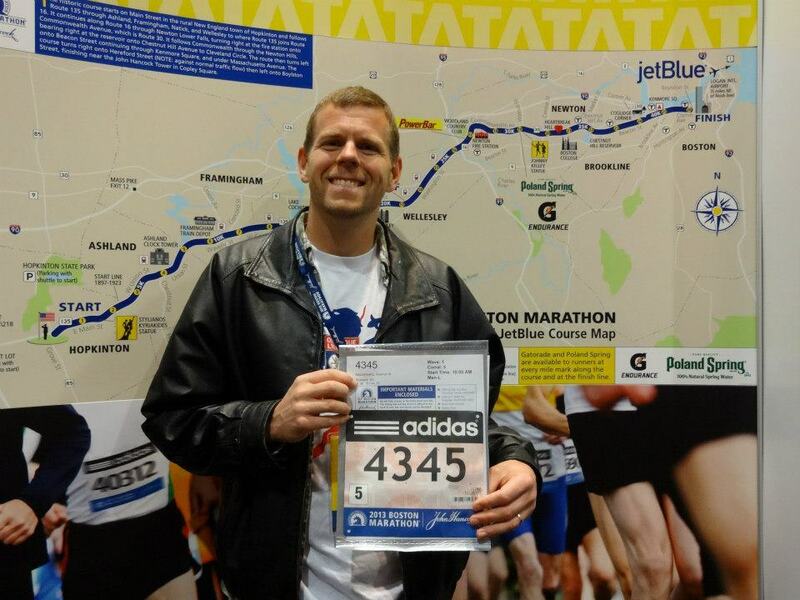 The Boston Marathon course is different than any course that I had run previously. It is not what I would call a hilly course but at the same time it is a hilly course. There is a fair amount of rolling hills along the way. The Newton hills are not the worst hills you will ever encounter in a marathon but the by the time in the race that you see them and the fact you see four of them makes them rather impactful. When my corral got up to the start line and made our way onto the course it was fantastic. It was wall-to-wall people all running down a somewhat narrow road. 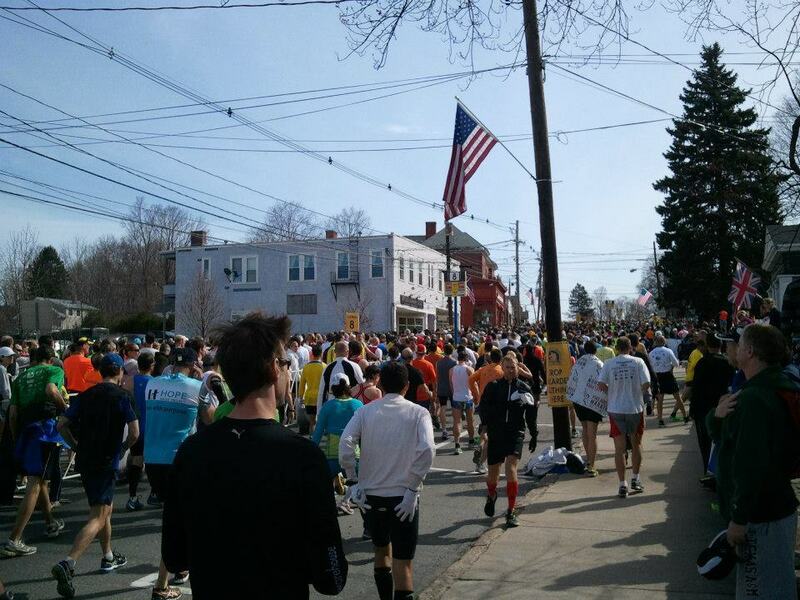 It was so dense with runners that there was not a whole lot of passing that could be done even if you wanted to. That led me to my first revelation about the Boston Marathon. You will likely get spit on. There is no way around it. Runners spit and if you do it in a crowd of people all moving the same pace as you it is just inevitable. Most people aim low so it is not as bad as it sounds but I did see one dude get totally nailed. A guy near the edge thought he was clear and let one fly over to his right and well let’s just say he was not clear and I felt really bad for the dude who got it right in the chest about 4 miles into the race. Probably not as bad as the dude I saw on the bad end of a farmer blow but pretty bad nonetheless. The first few miles were the most isolated of the course because from about Ashland on, there is nothing but wall-to-wall people lining the streets practically the entire way to the finish. The only reason those first miles were not crowded with spectators is there were hills alongside the road and private property above making it impractical for people to get near the race route. There were several that took advantage of this opportunity with limited spectators to, well, address their over hydration issues. The race itself was like no other that I have been in because there are hundreds of people that are your exact pace so you are never out of a pack. In the first miles and all the way up to the half marathon mark I was consistently ticking off miles in the 6:45 mile pace range and well so was everyone else. The first 4 miles we were all moving fairly well but I felt a little more sluggish that I thought I should after 4 miles. Perhaps I did something wrong with my taper? Oh well, too late now. Once we got into the spectators it was great to feed off of their energy. There were hundreds of children lining the streets all giving high-fives to the runners as they passed. I gave my fair share of high-fives along the way myself. The cheers of the crowd were deafening the whole way. 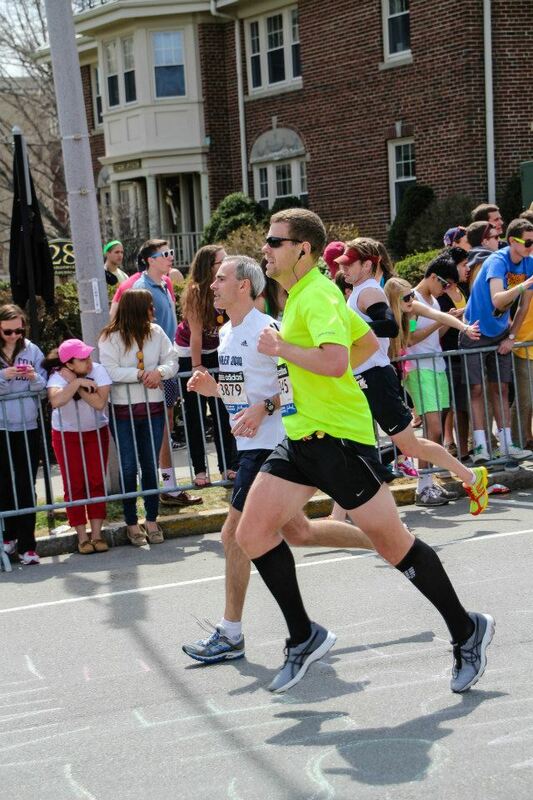 If you ever thought about running the Boston Marathon with headphones, trust me they would just get in the way. About 11 or so miles in we came across the quickly approaching roar of Wellesley College. It was not dissimilar to the sound you hear at a college football game when the home team scores a touchdown. The Wellesley College girls are notorious for offering free kisses to the runners along the way. I have to say that seeing the college girls with their signs saying ‘Kiss me I am from Texas’ and ‘Kiss me I won’t tell your wife,’ I could not help but smile a little. I did the right thing and did not engage in the tradition as a happily married individual and I was actually surprised that nobody else around me did either. I guess the pack that I was running with was more concerned about the race splits than their upholding of tradition. I hit the half-marathon point at a split that I thought was ok. I was just under 1:30 for the first half so my strategy was still intact. The second half of the race saw the Newton hills. All I have to say about those things is that if we ever end up with another dog, it will not be named Newton. At one point on Heartbreak Hill, I thought it would be a reasonable idea to un-friend one of my Facebook friends whose last name is Newton because it was just too close of an association. In retrospect, I should have trained hills more leading up to Boston. I certainly did the miles and I did the pace training but I should have worked the hills more. I know I am making them sound horrible and they are not really that bad in terms of length and elevation gain but you do need to be ready for them or they will eat your lunch. I knew going through the hill section of the course that I was losing pace so I adopted the plan to just push through the hills and try to keep my pace up as much as I could because once you are on top of Heartbreak Hill, it is all downhill to Boston. 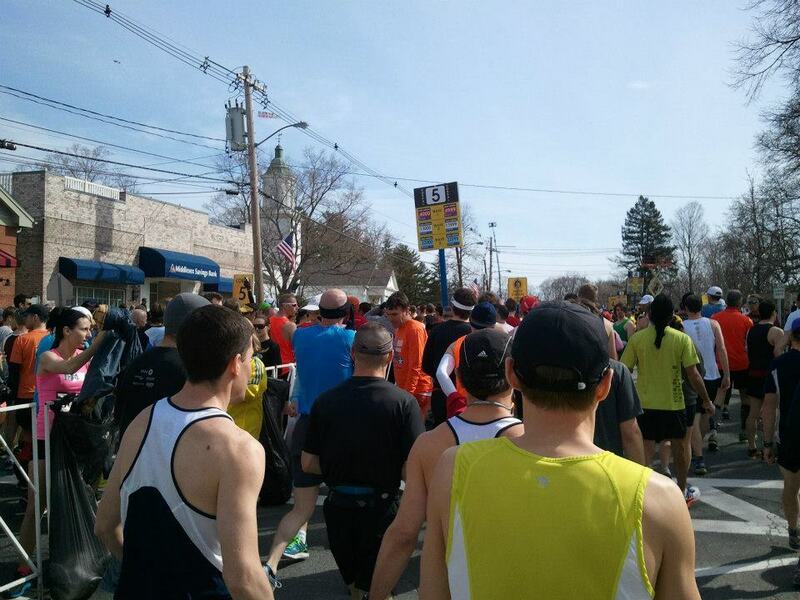 After you crest Heartbreak Hill the next major milestone is Boston College at about Mile 21. 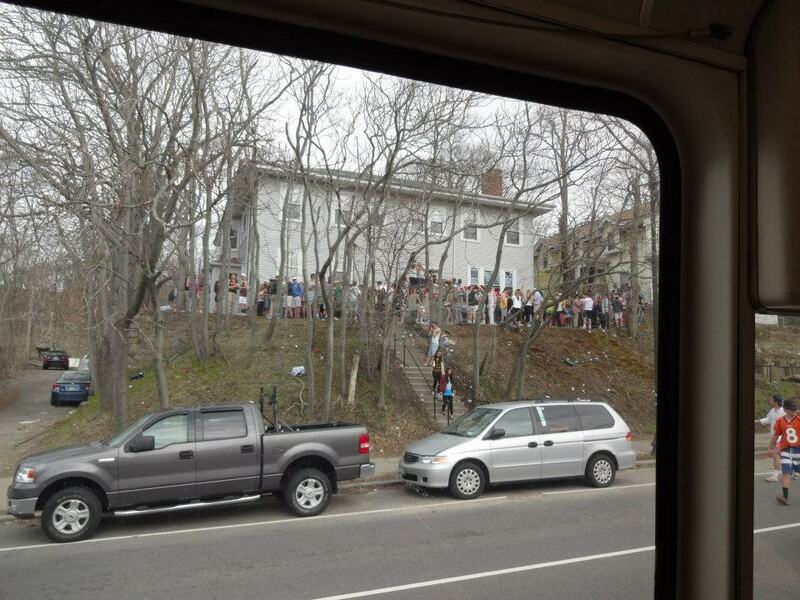 You can always tell you are at Boston College when you see the frat houses with beer cans littering the lawn. I knew J.J. was going to be set up at Boston College but I did not figure there would be any way I would see her in the sea of people. I was keeping my eye out for her and surprisingly I actually saw her off to my left yelling and waving. I gave a quick wave back and turned to focus on the final miles into the city. J.J. had some people she met from California snap a few pictures that they were nice enough to send to us once we all got back home. Those last few miles were pretty tough for me when they should not have been. The last 5 miles are all downhill and they turned out to be my slowest. Frankly after getting past the Newton hills and doing an inventory of how I was feeling, I knew that hitting a sub-3 was not going to happen on this day. There is something mental that goes awry when you lose the intensity that comes with focusing on a goal. At least in my case that is what happens. I knew I was not going to hit my original goal and I knew my pace had dropped so even the chance of a PR was unlikely. In those last few miles I redefined my goal to just make sure I got another Boston qualifying time in the books. There is an interesting fact that a surprisingly low percentage of runners who quality for Boston actually re-qualify at Boston. If I could re-qualify I would be ok with that. Coming into the city was one of the most interesting times. 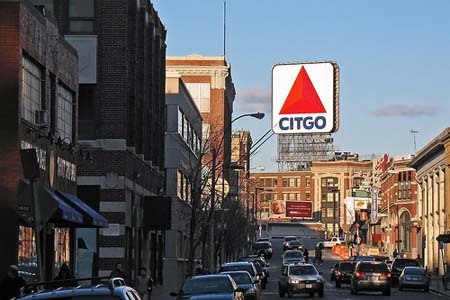 I knew of the pre-race planning that the famous Boston Citgo sign was exactly 1 mile from the finish. The sad part is I swear you can see that darn sign in front of you for like 3 miles and it never seems to get any closer. As I got into the heart of the city the crowd lining the street was giving it all they had and their energy was needed. 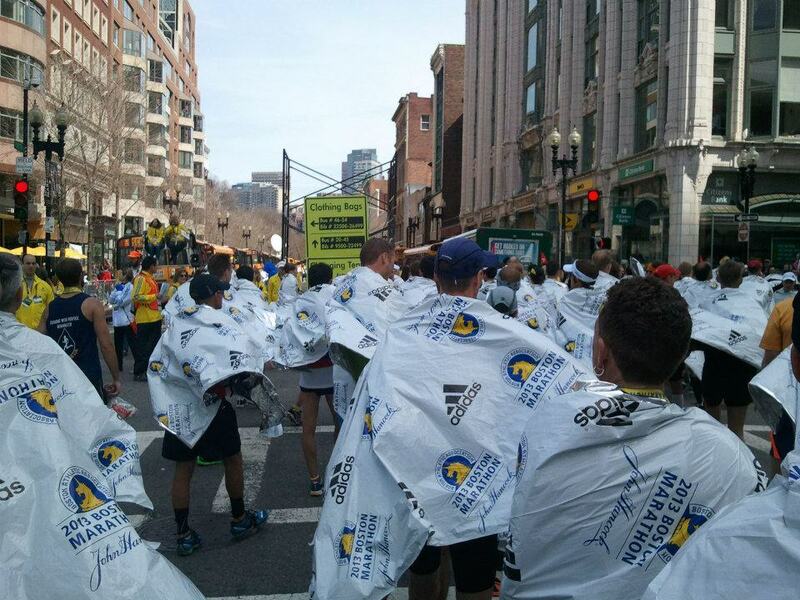 As I turned onto Boylston Street, I could see the finish line in front of me. I had a Boston qualifying time in the book and there was no danger of me setting a personal best so I just cruised into the finish to roaring cheers. 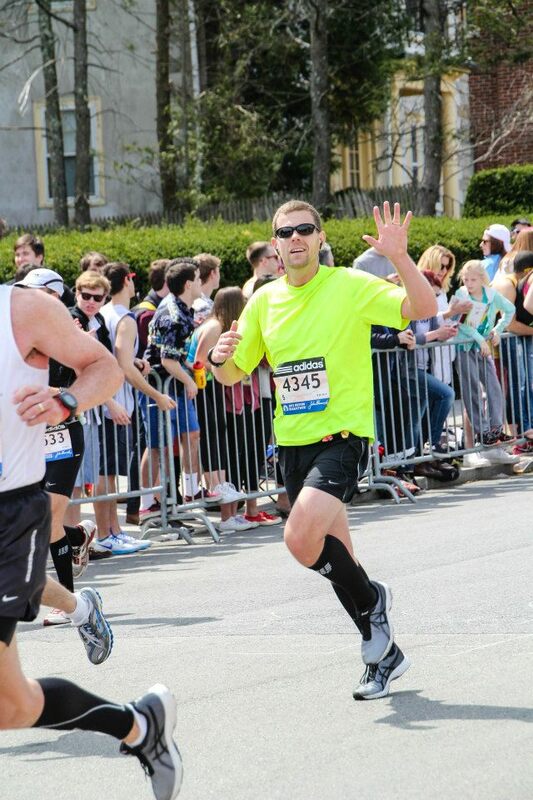 What an experience crossing the finish line of the Boston Marathon. There are few things in life that will give you any equal rush. To be part of that atmosphere and that history was fantastic! In the end I finished in 3:07:32, which is actually a fine time but not what I felt I was capable of. That is the bad side of runners, sometimes we just get too focused on those trivial things like time, place, personal bests and whatnot that makes us lose sight of what is really important. After crossing the finish line I entered a sea of people walking their way through the finishers corral. Volunteers were handing out foil blankets, food and drinks. Further on, I was presented with my medal for finishing the 117th Boston Marathon and it now holds a special spot hanging on the wall in our house. My legs were pretty done by the time I got to the end of the finish area to get my stuff from the checked bag buses. After getting my stuff I was able to hobble over to the family meeting area where I called J.J. who was a few minutes away. We synced up and after getting some sweats on took some photos. 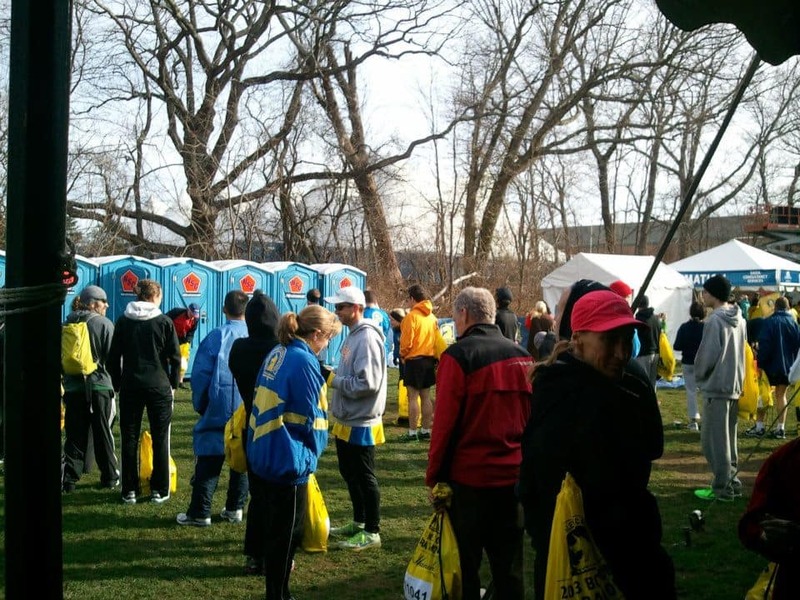 It was great seeing the other runners and chatting with them in the finisher’s area about their race that day. 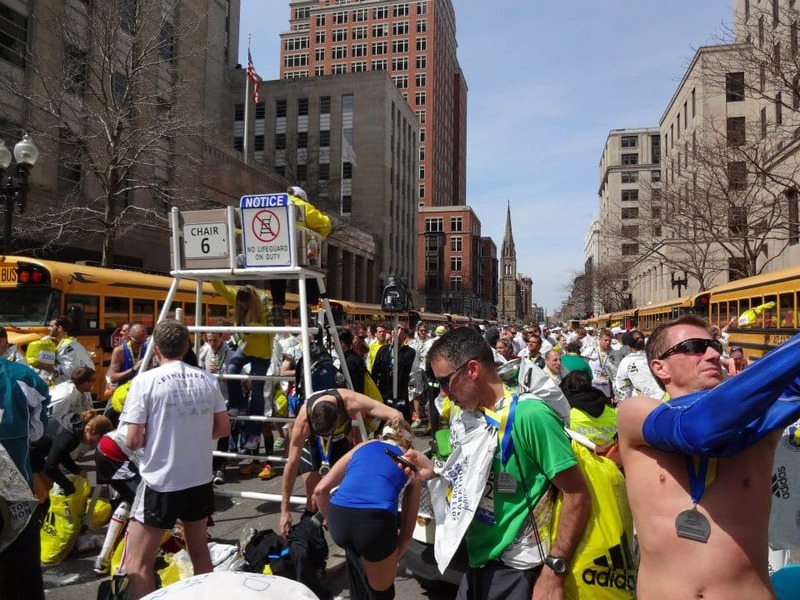 Not long after that the Boston Marathon would lose its innocence perhaps forever with the tragic bombing at the finish line. For me, the thing that defines the Boston Marathon is not those tragic events but the real spirit of the Boston Marathon is the celebration of running. It is truly Disney World for runners if you will. It is about meeting people just exactly like you who have had their own variants of your same goals and experiences. It is about community. It is about support and friendship. That is something that we all need to remember as runners, that it is not all about PRs and finishing position. The love of running has very little to do with that. It is about the love of the sport and community that comes along with it. Even after the tragic events that occurred later that day, to me that is what the Boston Marathon will forever exemplify. 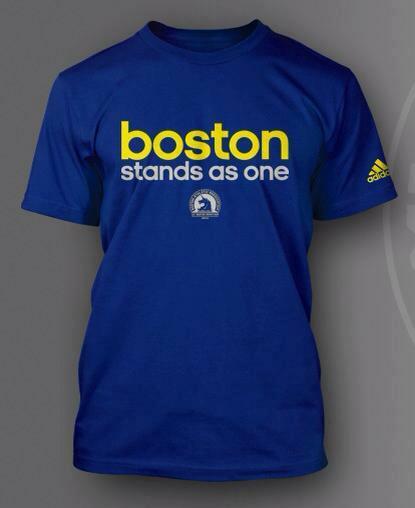 Be strong Boston and thank you for letting me be part of your history! 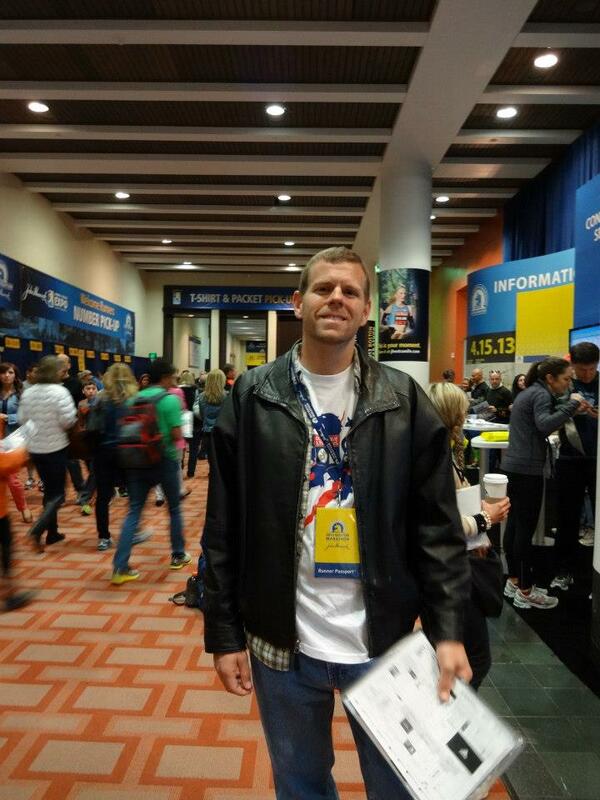 AWESOME write up of your experiences at the Boston Marathon! I love all the pictures and the first person dialog…really makes me feel like I was there. Also, I feel privileged to have trained alongside you for a few runs leading up to Boston (not nearly as many as you did). I know the hard work and dedication that you put in…and it paid off by qualifying for Boston once again. I know how it feels to not always hit a race goal, but you still raced VERY well…and gained some amazing experiences that you will never forget. Thanks again! Thanks Spencer. You know I wish you would have been there. If there was one downside to the Boston Marathon it was the I did not have any of my local running friends there with me. If it were not for you pushing me through a lot of those long runs on Saturdays running Boston would likely have never been in the card so I very much thank you for keeping me going! I enjoyed reading your write-up Steve! Inspiring. Don’t worry, Kevin Bacon is a handsome man. See you out there one of these days….